Seun Odukoya Your Stories. My Stories. Our Stories. Please forward all enquiries to seunodukoyaofficial@gmail.com. The smell of it clings to your nostrils despite the fresh night air flowing over you in cool draughts as you step into the street. You cannot bring yourself to think in terms of its name. Again, you reflexively brush at your shoulders, your chest – a vain attempt to get the stink of it off you. Again you try to ignore the arm weighing down across your shoulders, effectively draping them in guilt; the same feeling that tucked your chin in your chest, and had your eyes darting furtively across the street on your way out of the brothel eight streets away, that not-so-long-ago first time. You try to ignore it – as you’ve been ignoring the moustache-brushed lips whispering all sorts of nonsense in your ears all night. As you’ve been ignoring the persistent sting in your nether region. It isn’t a loud sting – but it is insistent and itchy. Still, it isn’t anything close to what the television and the movies and the magazines and websites and people said it would be like. Not even close. But it hurts. Your skin retracts like over-extended rubber band; crawling into itself as you vibrate all over, twice in rapid succession. The shawarma and Jack Daniels you had been plied with threatens to spill over – and you bend over quickly, one hand on your stomach, the other at your mouth – an attempt to hold dinner in. When you straighten you’re alone. Never again, you tell yourself. As you get your feet beneath you – and begin to head on home, a comfortable weight in your left trouser pocket makes itself known to you. A smile manifests on your too-thin lips and your left hand slips into your left pocket and caresses the edge of tightly-packed fresh 1000 naira notes. It is worth it; you think. There’s this feeling of looseness…of unwholesomeness I get when I wake up in a strange bed. Which was entirely strange – because I am sure I have never slept in this bed before. And the first thing that meets my startled gaze is the underwear I purchased off Konga. As though on cue, the door opens and in she comes. Instinctively, I touch the back of my head. I’m checking if I’m still plugged into the Matrix. This cannot be real. This is not happening – not in 2013; not in Nigeria. Definitely not in Lagos. She comes in looking like shawarma – hot steaming shawarma. She’s not wearing a nightdress like the herione in Bond movies – or romance stories for that matter. She’s wearing a loose-fitting t-shirt and shorts. But she’s nothing like the General Manager I have meetings with. She looks like…she’s a woman. She smiles and I’m doomed. My heart’s doing things I didn’t know it is still capable of doing. My head…has become a bowl of mush. I try to think. I remember what I say to myself about not having relationships around work. So I’m about as knowledgeable about women as a rat is about massages. Forgive me. First thing I do that Monday is to look her up on Facebook. Sure enough, there are enough pictures of her there to make for an art exhibition. Nothing sleazy or dirty though. Just…pictures. I ‘steal’ the most detailed ones and have a small confab with my secretary – the same one who looks at me like I’m Dominoes Ice-Cream. Meh. Next move? Konga for some quick shopping. I buy some expensive lingerie…the most expensive I can find. And for an embarrassing moment I lose myself in the sights of delightful intimate female bits. I sigh and shake my head, pulling myself together. It’s been a while. I have a moment of misgivings. Is this the best thing I can come up with? What’s the worst that can happen? I laugh. It’s too late for cold feet now. Placing the order for three overtly-sensual pieces, I fill in the address and name and then pay via MasterCard. The package is scheduled. I also ask my secretary; who is turning out to be quite the asset where I can order roses. She blushes, flutters her eyes and scribbles a number for me. I order half-a-dozen white roses and schedule them for delivery after three working days. I assume if everything goes right with Konga she should be getting it around that time. Grinning happily, I begin the day’s work. We have a meeting with said client Friday. I won’t be surprised if she does not show up. I hope my boss isn’t. So it’s been three months. Three of the craziest get-out-here months of my life. And so I was once again that guy who wore suits and walked back and forth Opebi, looking at beautiful girls and thinking ‘is it really worth the trouble’? I sigh and walk on. I like the way my life is – the part where I just become part of the background. The part where I’m of no significance to anyone but my computer and my boss. I am done with lies. Romance. Heartbreak. Done with confusion and double-dealing. Like that suddenly-trending article online, ‘Marriage Is Not For Me‘. Mine is just a bit more literal. I am done with love and all related things. To say I was shocked would be the understatement of the century. Understand; I don’t philander. I am no saint but there are some lines you just don’t cross. Forget morals. Forget religion and concepts like ‘heaven’ and ‘hell’ – just for a moment. This is life. There are some lines you don’t cross. Kissing your girlfriend’s lookalike in your girlfriend’s house is one of such lines. Actually enjoying it, is NOT ONLY crossing the line but erasing it entirely. Such a man deserved to be shot. But of course, I did not know I was doing anything wrong. I looked like Joseph must have looked when the angel told him not to let his pregnant virgin wife go. I mean, could it be more ‘Face Off’ than this? I was kissing a girl when the girl I thought I was kissing walked in, looking at me like she didn’t know I thought I was kissing her. I backed away as though the girl I was kissing had suddenly become a live wire. I felt like I’d just hugged a transformer. My girl turned on her heel – did a 180. The one I was kissing just rubbed her fingers on her lips and sashayed away in the opposite direction. Me? I think I floated home and hugged a transformer along the way. After several shots of Alomo, I started to think properly again. Why the hell was I feeling guilty? I wasn’t to blame for anything. In fact I was a victim. But what the hell was happening? I needed explanations. And I was going to get them. I don’t think the problem was that I was tripping. I don’t think so. It wasn’t. Maybe I had become too concerned with form – so concerned I forget to question content but I was determined not to ruin this one by over-thinking things through. So I closed my eyes and let go. Her eyes looked like they had glowworms within them – and the smile she welcomed me with made everything okay again. If I wasn’t sure before that letting the small incident go was the best thing, I had confirmation. I opened my arms to her and she came in comfortably. Her lips reached for mine with the desperate fervor of a drowning man clutching at straws and I liked it. There was a loud roaring in my head and for a moment I was disconcerted. She didn’t kiss like this. Not like this. But I liked whatever it was that changed so I didn’t complain. I should have. I probably wouldn’t have felt guilty when my real girlfriend walked in moments ago. Buy Lẹ́bẹ́ The Series here now! 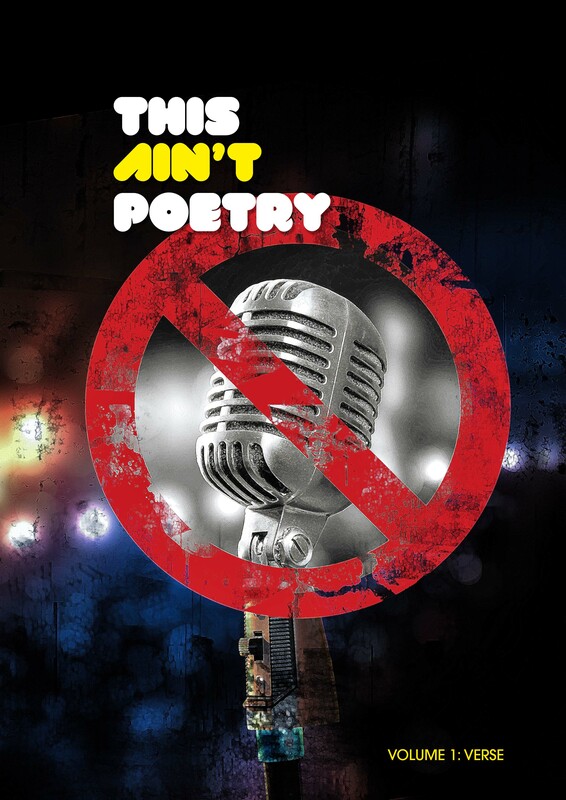 Download This Ain't Poetry Free Here! 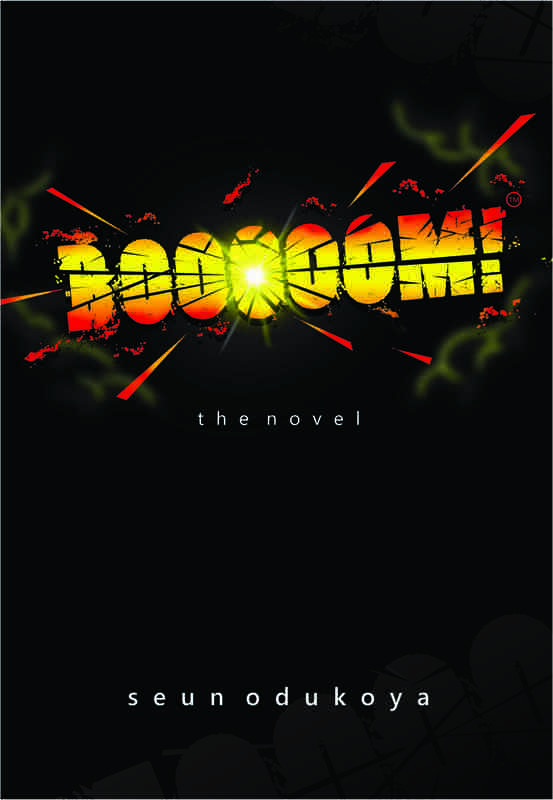 Download BOOOOOM! The Novel Free Here! 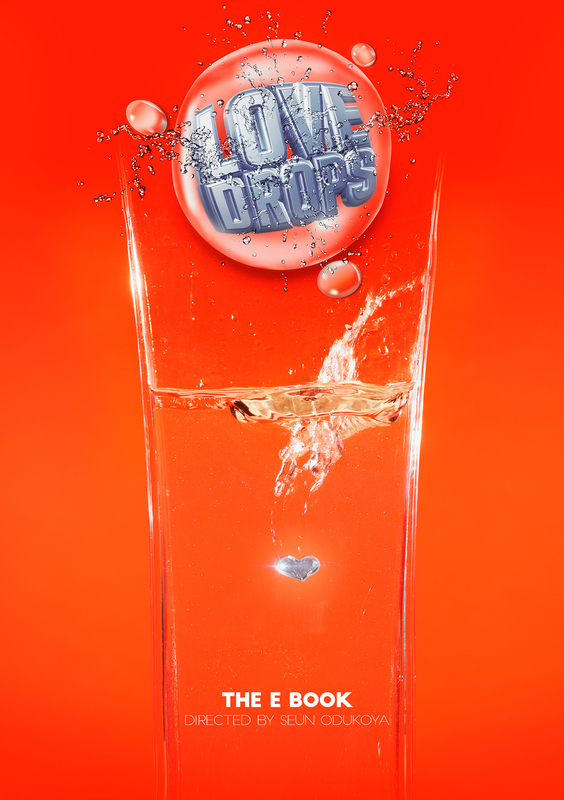 Download Love Drops Free Here! Download Songs About AIDS Comic Free Here! 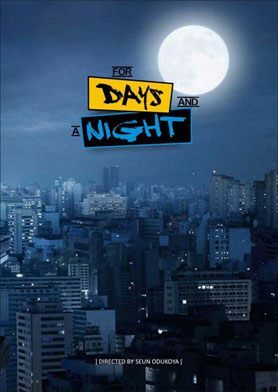 Download For Days and A Night free here! Feed On The Truth – Live RSS Feeds. Review: RED OCTOBER by Sewedo Nupowaku is a Joy to behold!! Visit Nigeria's number one writing site!